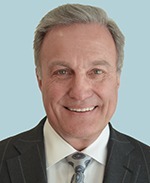 Principal, Offit|Kurman Don P. Foster is a principal at Offit|Kurman, which he recently joined as a lateral from another Philadelphia firm. He has represented both attorneys and firms in matters related to departures, dissolutions and related compensation. He can be reached at (267) 338-1357 or dfoster@offitkurman.com. Lawyers are changing law firms at an ever-increasing rate. No news there. The reasons are manifold and include personality conflicts, culture, career advancement, boredom or even following a spouse or significant other to another city or state. But face it, we all know that there is one over-arching reason why an attorney changes firms … money. The increasing commoditization of the legal profession, or at least of the attorneys that comprise the profession, has created an environment in which the attorney’s value – and, hence, his or her compensation – is measured by the number of dollars the attorney controls, and has created a market place where attorneys are for sale to the highest bidder. The next two posts in this series, which will be published over the next two days, are a check-list of “do’s” and “don’ts” when an attorney moves to another law firm. The list is prepared from the vantage point of the departing lawyer, but largely applies to the law firm – for example, the proscription against non-disparagement. The list is a by-product of Joint Formal Opinion 2007-300, “Ethical Obligations When A Lawyer Changes Firms,” case law and experience. It is not exhaustive because the rules can change somewhat from state to state depending upon what a partnership or employment agreement provides and how the courts interpret those agreements. 1. Inform the firm of your intent to depart. The Joint Opinion of the Pennsylvania and Philadelphia Bar Associations imposes an ethical requirement to notify the firm of an intended departure, although nothing in the rules of professional responsibility requires such notice. The obligation arises out of recognition of the firm’s ethical obligations to the client, which exist separate and apart from the attorney’s individual obligations. The rationale is that the withdrawing partner is ethically bound to the firm and the client not to interfere with the former’s ability to honor its obligation to the latter. The timing of such notice will depend upon the circumstances and is governed by a rule of reason. If there is a contract that covers the issue, it will control, within reason. However, as a practical matter, the latest date by which the lawyer should provide notice to the firm is the date on which clients are notified of the lawyer’s intent to depart. An earlier joint opinion of the two Pennsylvania ethics committees had generally associated the timing of the notice to clients with that of notice to the old firm. The 2007 joint opinion affirmed that approach. Therefore, as a rule of ethics in Pennsylvania, the firm must be told no later than any client of an actual intent to depart. 2. Communicate the fact of departure to clients. This is the easy part. Of course the departing attorney is going to notify clients of his or her plans to change firms. Also, it is the client’s decision, and only the client’s decision, as to whom is going to represent it. See Adler, Barish, Daniels, Levin & Creskoff v. Epstein. The question is not whether to notify the client, but when and what to say. The joint opinion says not to notify clients before notifying the firm. But is that realistic in a world in which the decision to leave, and the new firm’s willingness to provide an opportunity to leave, is dependent upon the client’s decision whether to be represented by the old firm, the departing lawyer and the new firm, or a third firm? As a practical matter, a long-standing client of the departing attorney, which he cultivated as a client and for which he is the responsible billing attorney, is going to migrate with the attorney. The firm is probably not going to care if the attorney discusses his plans with such a client before the firm gets notice. There is no reasonable expectation of an ongoing relationship with such a client. Where the situation gets more dicey is, for example, when the departing attorney did not originate the client, but rather was assigned client responsibility by the firm and cultivated a relationship; or where a number of attorneys have a relationship with the client, who may even have been “sold” by the departing attorney and other members of the firm. Can an attorney who is contemplating departure get a head-start on the anticipated competition for such clients by notifying the client before notifying the firm? The first conversation is asking a client how it feels about the attorney and inquires conditionally about an ongoing relationship, all the while making it clear that it is the client’s choice. There is nothing in the ethics opinions that proscribes such exploratory conversations. The second statement is potentially actionable pre-withdrawal solicitation of a firm client, a breach of contract and a breach of fiduciary duty to the old firm. Practice Pointer: There is nothing in the rules of ethics, or the law of fiduciaries or law of unfair competition, to prevent an attorney considering the possibility of changing firms to explore with clients the likelihood of ongoing business from them in the event of a lateral move. Care must be given to what is said and the attorney must avoid saying anything to convince the client that it would be better for the client if it referred legal work to the attorney rather than the old law firm. That is solicitation. 3. Try to be fair. This is a variation of the ethical maxim that one should treat others as one would like others to treat oneself. However, this does not mean that the departing lawyer should only say nice things about the firm (which, presumably, he would want the firm to say about him) and urge clients to stay with the firm. Rather, this variation of the Golden Rule derives more from the Code of Hammurabi, which dealt with retribution for wrongs committed — as in, “an eye for an eye, a tooth for a tooth.” Self-interest drives this rule, because if one is not “fair” and solicits a client, steals a file or hides a fee, even if one believes the other side has done, or will do, the same, then the attorney has not only violated this rule, but most likely fiduciary and contractual duties to firm, partners and possibly clients. 1. Seek a client’s commitment of legal work to a new firm before notifying the old firm of the intent to leave. 2. Remove client files from the firm prior to notice to the firm. Note: the issue of copying electronically stored documents to a flash drive or other portable storage device has not been addressed by ethics committees or courts. Because no one’s interests are harmed and the client is protected in the event of a delay in the transfer of a file, there does not appear to be anything wrong with it. 3. Advise a client not to pay an existing bill or to pay the attorney directly. 4. Compete with the old firm prior to departure by comparing services or rates of the two firms. 5. Malign the quality or price of the legal services of the firm. 6. Solicit associates or other firm employees prior to actual departure to leave with him. Note, however, this non-solicitation rule should be subject to the same distinction drawn in Part 2 between the “what if” exploratory conversation with a client and active solicitation once the decision to leave has been made. Furthermore, there is nothing that prevents the withdrawing attorney from responding to inquiries from associates and staff after the announcement of his departure. a. The departing lawyer’s intended departure, the timing of the departure, the departing lawyer’s new association and willingness of both the old and new firm to continue the current representation of the client. b. The client has the sole right to decide who will complete or continue the representation, whether the old firm, the departing lawyer or a new lawyer altogether. The letter should also seek client direction regarding the transfer of files. As it is a joint letter, as a practical matter it will not contain disparaging comments about either party, nor will the letter urge the client to continue with one relationship or another. Nevertheless, the joint opinion expressly proscribes both. If the firm and the departing lawyer cannot agree on the language of a letter, then separate letters can be sent. 1. Prevent the departing lawyer from honoring his ethical obligations to clients or attempt to thwart any ongoing relationship between that lawyer and departing clients. 2. Forbid a departing lawyer from announcing his departure, notifying clients or opposing counsel in a litigated matter. 3. Instruct firm personnel not to disclose the whereabouts of former lawyers to clients or other callers. 4. Withhold files of departing clients as leverage in disputes with departing lawyer over fees or other strictly lawyer-to-lawyer issues. It is the unusual case when an attorney with a substantial practice, or the potential for such a practice, decides to leave a law firm, that the blueprint for a professional, noncombative, cooperative transfer of the attorney’s practice is followed. Rather, it is too often the case that acrimony, jealousy, greed and distrust cloud judgment and cause people to do things that result in litigation. No one wants that. Not only is it costly, it is emotionally taxing. It also is unseemly to the client. It is therefore wise for the departing attorney to retain experienced counsel to go over the do’s and don’ts of his jurisdiction, and to serve as an intermediary in discussions with the firm in case it does not take the news of the departure well. Counsel can also review any applicable partnership or employment agreements in order to advise on the effect that the timing of a departure would have on the departing lawyer’s compensation from the old firm. This topic requires concentration on the law of fiduciaries and contracts and will be addressed in a separate article. © 2012 The article “Do’s and Don’ts for Departing a Law Firm” was part of a three part series which appeared on the Legal Intelligencer’s blog between February 21-23, 2012. Further duplication without permission is prohibited. For reprint information, please contact ALM Publications reprint department, 877-257-3382, reprints@alm.com or visit www.almreprints.com.